Since the NBA 2K17 official Twitter account released a new announcement yesterday, the highlights of NBA 2K17 became the second Park After Dark event which is said will be launched on Dec. 30. This time's "Park After Dark" will add the hip hop superstar Future. "NBA 2K17's next 'Park After Dark' event is headlined by none other than @1future on December 30th (11PM EST/8PM PST)! Spread the word." 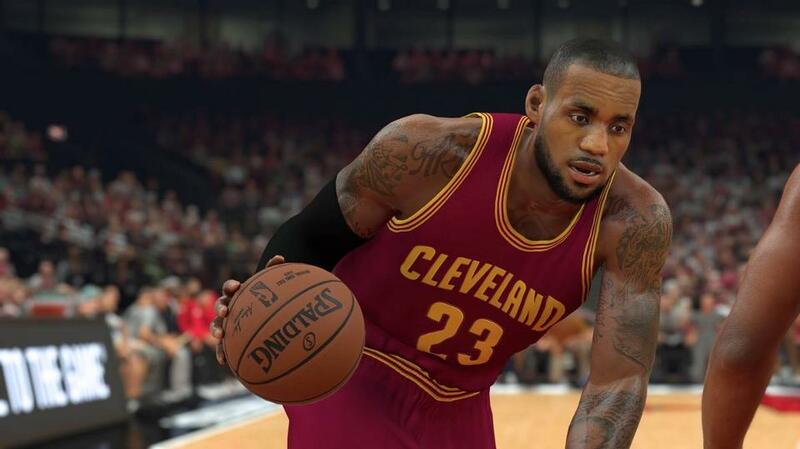 NBA 2K17 official Twitter account said. The second Park After Dark will start on Dec. 30 at 11 p.m. EST. The end time is not listed. It seems that the event may like the previous one: players will be able to use VC to buy some festive glow-in-the-dark clothing while trying out a few exclusive mini-games. Previous events featured dunk and three-point contests that offered VC rewards for competition. Of course, that’s only part of the fun. 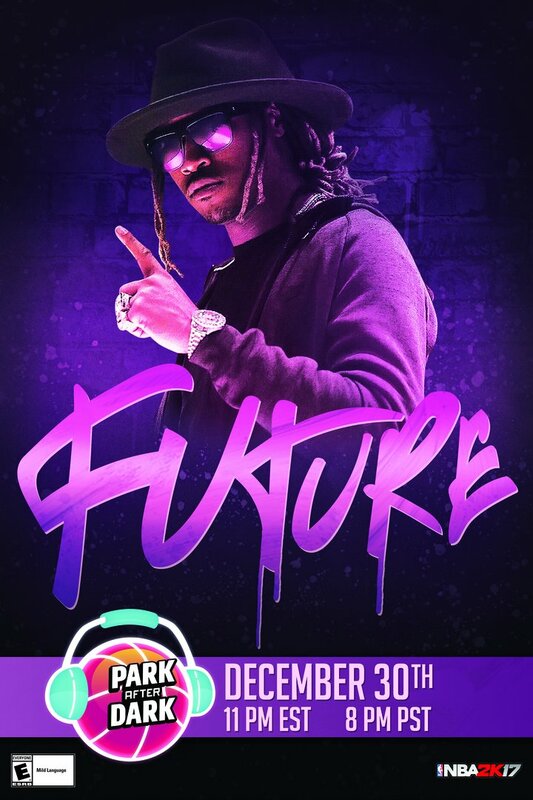 Handpicked music selections from Future will serenade throughout the night. Park After Dark is one of the ways 2K Sports attempts to keep NBA 2K17 players active throughout the season. As we know, the first edition of Park After Dark has many of the issues, such as players not being allowed to come into games or randomly being kicked out. And players had to pay exorbitant amounts of VC for Park After Dark accessories and clothing and had to wait for almost an hour before games started. These unfixed issues made the last month's Snoop Dogg party was a total disaster. Apart from the Park After Dark event, MyTeam fans can also regularly hunt down locker codes and Moments Cards to assemble awesome fantasy teams. Roster adjustments further tie into the real-world action around the league. It's not a good idea to have high expectations for the next Park After Dark. What we can do is waiting for it and finding if they fixed the issues we met in the last one.